Labor Day Weekend is a great time to soak in the last bits of summertime sun and recharge before we take on the colder weather of autumn and winter. If you still have yet to make plans for Labor Day Weekend, do not worry, it’s not too late and you are certainly not alone. Expedia just released a travel trends report and the data shows that 80% of us wait until August to book the weekend getaway. If you are still thinking about taking trip, here are 5 great locations you should consider. With crystal clear waters and beautiful beaches, Miami is a great place to spend the last moments of summer. While you will surely want to spend most of your time on the beach, the city itself is just as beautiful with colorful Art Deco buildings lining the streets. The food and garden-to-glass cocktails will certainly hit the spot as well. To plan the perfect weekend getaway to Miami, check out this article. Los Angeles has a collection of unique regions, with their own culture and atmosphere. From hiking in the westside to the beaches of Santa Monica, Venice, and everything in-between, there is never a dull moment in Los Angeles. There is an endless list of great places to grab a bite to eat or drink. 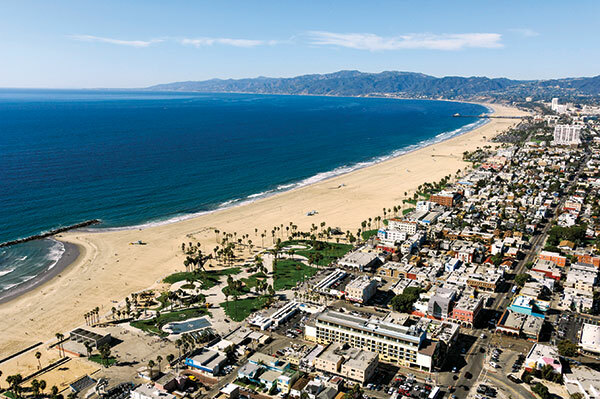 To plan the perfect weekend getaway to Los Angeles, check out this article. A trip to Washington, D.C. is the perfect place to learn about our country’s history. It is home to some of the greatest museums, monuments, and memorial in North America. But don’t worry, it does not all have to be educational. There are plenty of great bars, boutiques, and restaurants which are making D.C. and extremely fun and energetic place to visit. To plan the perfect weekend getaway to Washington, D.C., check out this article. According to Expedia, the top spot on the booking site’s list of Labor Day deals is Las Vegas. It turns out that travelers are skipping the beach in favor for some fun in the Sin City. In addition to gambling, the city offers world-class entertainment and restaurants as well as pools for both relaxing and partying. To plan the perfect weekend getaway to Las Vegas, check out this article. If you are feeling a little more ambitious and looking for a place to check out internationally, consider taking a trip down to Mexico City. According to Expedia, average ticket prices have dropped 25% from this time last year, making this trip both fun and affordable. From the warm weather to the food to the arts scene, Mexico City will not disappoint. To plan the perfect weekend getaway to Mexico City, check out this article.